BROOMFIELD, Colo., April 15, 2019 — In celebration of Earth Month, Silk, America’s No. 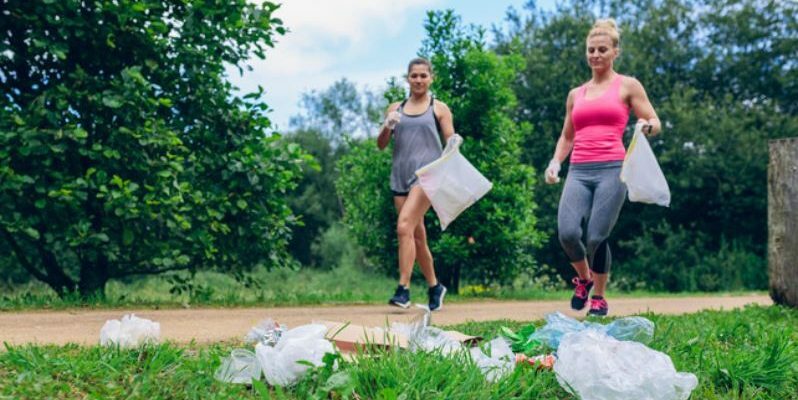 1 plant-based beverage brand and a proud environmental steward, is rallying support to introduce a new official Olympic event at the 2028 Los Angeles Games: plogging. Silk fans and plogging enthusiasts can sign a Change.org petition urging the Los Angeles Organizing Committee to consider plogging—which combines jogging and picking up litter—in its proposal of events to the Olympic Programme Commission. Silk is part of the world’s largest Certified B Corporation®. As part of the B Corp™ Movement, Silk views business as a force for good. B Corps meet rigorous standards of verified social and environmental performance, transparency and accountability, and Silk will continue to work toward raising the bar as the leading plant-based beverage company. Producing a half gallon of Silk takes 80% less water than a half gallon of dairy milk*. Plus, the brand balances all the water used in its own manufacturing plants to make all of its products, restoring it back to nature. For example, Silk supports a groundwater recharge program in drought-stricken California, and it also partners with Change the Course to help preserve the ecological health of the Colorado River basin. Silk is actively working toward using paperboard for its cartons that’s certified by the Forest Stewardship Counciland the Rainforest Alliance. The brand’s cartons are recyclable, and so are its creamer bottles and the cups for its yogurt alternatives.